Rock climbing is one of the more popular activities at High Rocks and offers unique opportunities for personal growth (as well as unrivaled vistas). Campers begin their progression of skills by learning about the basic knots, equipment, and safety procedures associated with climbing. After mastering the fundamentals, campers are coached on their climbing technique on our 52-foot outdoor climbing tower. All rock climbing camp activities take place under the supervision of our experienced climbing staff. 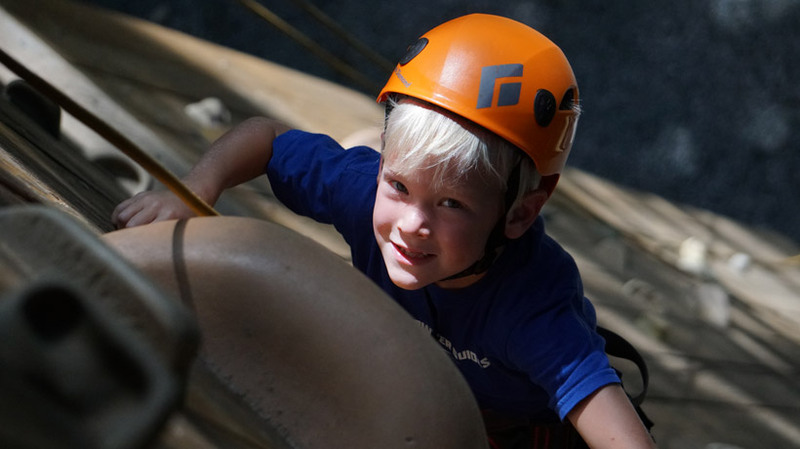 Climbing is just one of many awesome programs at our summer camp for boys. While our tower and bouldering cave provide opportunities for rock climbing in main camp, we are fortunate enough to have a place for beginner and intermediate campers to experience real rock at a collection of 50-foot boulders called the High Rocks. Located just a short hike up neighboring Rich Mountain, these rocks give us a lot of opportunity to learn and build strength. As their skills progress, campers have the opportunity to climb at Looking Glass Rock in nearby Pisgah National Forest and many other climbing areas in western North Carolina and throughout the Southeast. 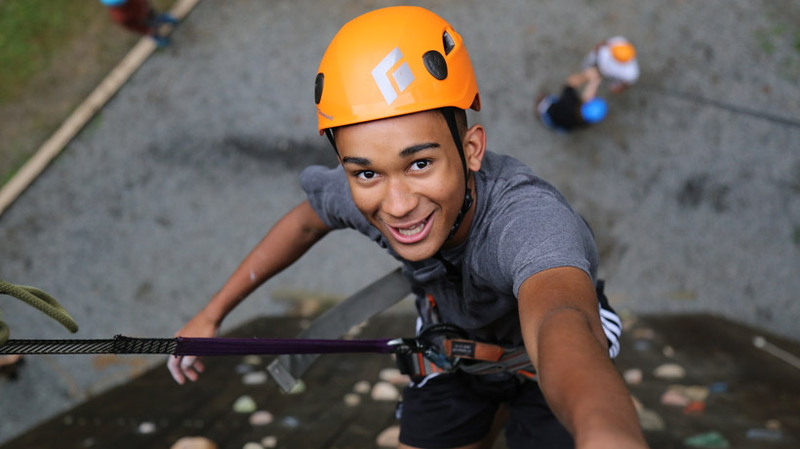 Through our trips and in-camp lessons, the climbing program fosters personal growth by creating a supportive environment in which campers can overcome the mental and physical challenges associated with rock climbing. Are We a Rock Climbing Camp? High Rocks is much more than a rock climbing camp, mountain biking camp or Canoeing camp. 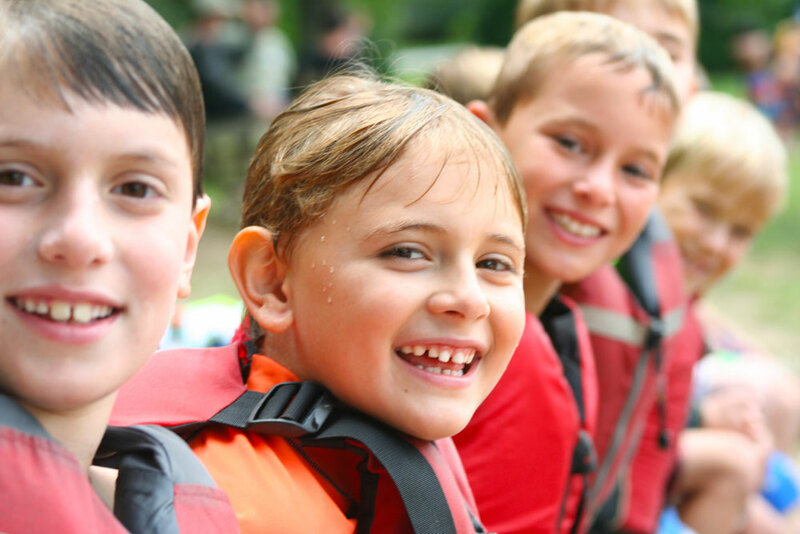 High Rocks is a traditional summer camp with an extensive array of activities, including rock climbing. 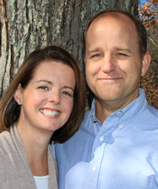 Learn about more of our activities by visiting the sidebar links.